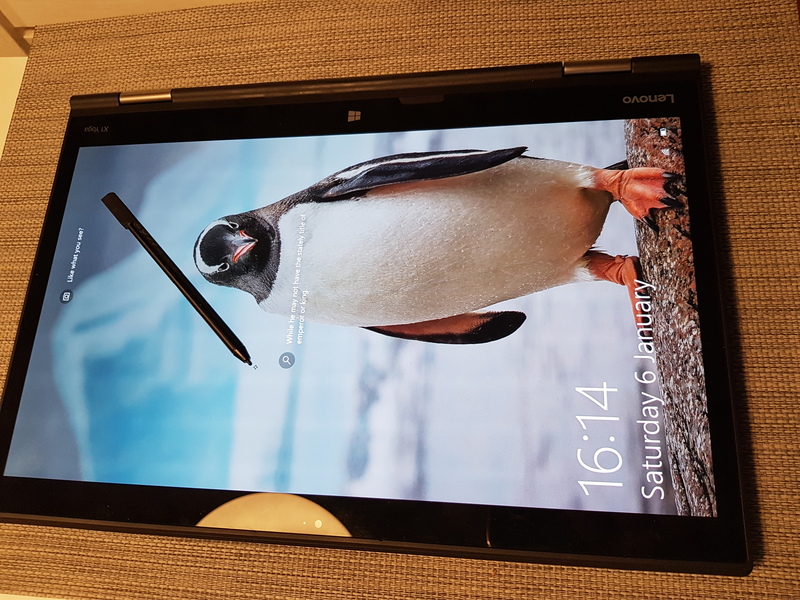 Lenovo X1 Yoga (2nd gen) in tablet mode. The key research infrastructures these days include e.g. access to online publication databases, and ability to communicate with your colleagues (including such prosaic things as email, file sharing and real-time chat). While an astrophysicist relies on satellite data and a physicist to a particle accelerator, for example, in research and humanities and human sciences is less reliant on expensive technical infrastructures. Understanding how to do an interview, design a reliable survey, or being able to carefully read, analyse and interpret human texts and expressions is often enough. Said that, there are tools that are useful for researchers of many kinds and fields. Solid reference database system is one (I use Zotero). In everyday meetings and in the field, note taking is one of the key skills and practices. While most of us carry our trusty laptops everywhere, one can do with a lightweight device, such as iPad Pro. There are nice keyboard covers and precise active pens available for today’s tablet computers. When I type more, I usually pick up my trusty Logitech K810 (I have several of those). But Lenovo Yoga 510 that I have at home has also that kind of keyboard that I love: snappy and precise, but light of touch, and of low profile. It is also a two-in-one, convertible laptop, but a much better version from same company is X1 Yoga (2nd generation). That one is equipped with a built-in active pen, while being also flexible and powerful enough so that it can run both utility software, and contemporary games and VR applications – at least when linked with an eGPU system. 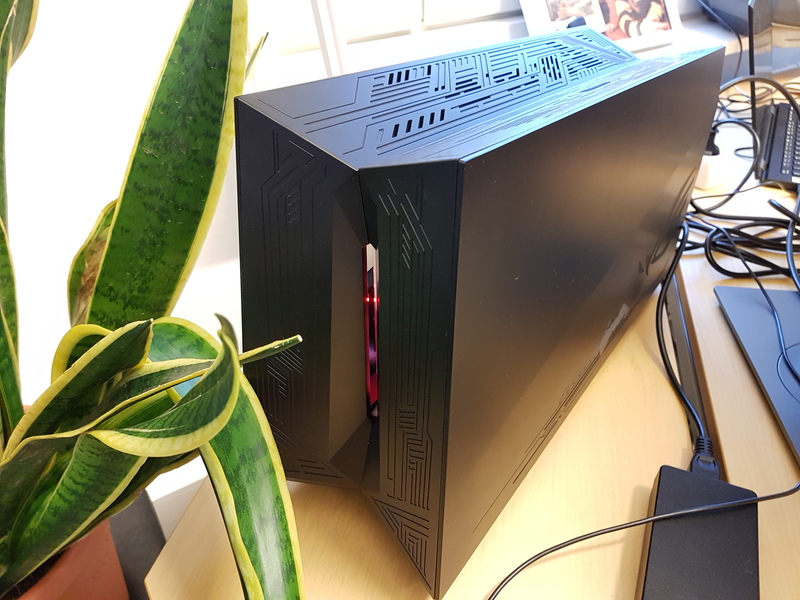 For that, I use Asus ROG XG Station 2, which connects to X1 Yoga with a Thunderbolt 3 cable, thereby plugging into the graphics power of NVIDIA GeForce GTX 1070. A system like this has the benefit that one can carry around a reasonably light and thin laptop computer, which scales up to workstation class capabilities when plugged in at the desk. ROG XG Station 2 with Thunderbolt 3. One of the most useful research tools is actually a capable smartphone. For example, with a good mobile camera one can take photos to make visual notes, photograph one’s handwritten notes, or shoot copies of projected presentation slides at seminars and conferences. When coupled with a fast 4G or Wi-Fi connection and automatic upload to a cloud service, the same photo notes almost immediately appear also the laptop computer, so that they can be attached to the right folder, or combined with typed observation notes and metadata. This is much faster than having a high-resolution video recording of the event; that kind of more robust documentation setups are necessary in certain experimental settings, focus group interview sessions, collaborative innovation workshops, etc., but in many occasions written notes and mobile phone photos are just enough. I personally use both iPhone (8 Plus) and Android systems (Samsung Galaxy Note 4 and S7). My main note database is at Evernote, while online collaborative writing and planning is mostly done in Google Docs/Drive, and consortium project file sharing is done either in Dropbox or in Office365. Microsoft Word may be the gold standard of writing software in stand-alone documents, but their relative share has radically gone down in today’s distributed and collaborative work. And while MS Word might still have the best multi-lingual proofing tools, for example, the first draft might come from an online Google Document, and the final copy end up into WordPress, to be published in some research project blog or website, or in a peer-reviewed online academic publication, for example. The long, book length projects are best handled in dedicated writing environment such as Scrivener, but most collaborative book projects are best handled with a combination of different tools, combined with cloud based sharing and collaboration in services like Dropbox, Drive, or Office365. What are your favourite research and writing tools? Many thanks to all the authors, reviewers, and the staff of the journal! Fafnir – Nordic Journal of Science Fiction and Fantasy Research is a peer-reviewed academic journal which is published in electronic format four times a year. Fafnir is published by FINFAR Society (The Finnish Society for Science Fiction and Fantasy Research) from 2013 onwards.Fafnir publishes various texts ranging from peer-reviewed research articles to short overviews and book reviews in the field of science fiction and fantasy research. Please note that as Fafnir is designed to be of interest to readers with varying backgrounds, essays and other texts should beas accessibly written as possible. Also, if you are writing in English, and English is not your first language, please have your article reviewed or edited by an English language editor. The deadline for research articles is August 15, 2016and for other submissions November 15, 2016. The year 2015 was a busy year, and hard to summarise as it feels like there never really was any time to stop and reflect; thus I welcome this short review note as such opportunity. Much of my time this year was spent on administrative things, related processes, projects, work contracts and plans of restructuring at the multiple levels of the Finnish university system, Tampere 3 university fusion, internal University of Tampere structures, the School of Information Sciences, our degree programmes and the IGS master’s degree programme, TRIM as the research centre and our Game Research Lab, and its individual research projects and other work. In terms of published research, it was delightful to follow how many interesting book projects were finished and came out during 2015 (many of these are already out and available, even if their official publication year is 2016). 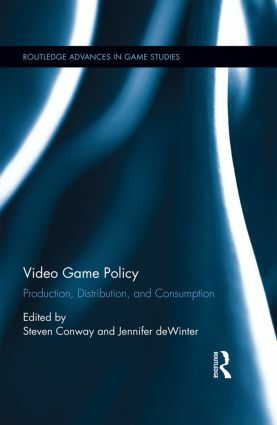 Particularly the Routledge Advances in Game Studies series was in high gear, as several important research volumes were published there; my research articles were included in The Dark Side of Game Play, The Video Game Debate and Video Game Policy books. (There were other important books in the series, too, including Rachel Kowert’s Video Games and Social Competence, and Ashley ML Brown’s Sexuality in Role-Playing Games.) For more, see: https://www.routledge.com/series/RAIGS My own work included analysing the subversive uses of chidren’s games, exploring the gaming communities, and (together with Gareth Schott) re-conceptualizing game violence. In other published work, I was proud to be part of the editorial board of Finnish Yearbook of Game Studies (Pelitutkimuksen vuosikirja; with the new editor-in-chief Raine Koskimaa), have in-depth analyses of our game researcher survey study come out in esteemed Journal of Communication (Thorsten Quandt, Jan Van Looy as the main authors in this article). 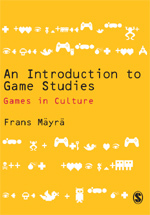 I also published a historically oriented overview of Finnish games and game culture in the Video Games Around the World volume, edited by the amazingly productive Mark Wolf for the MIT Press. I also wrote an article exploring the character and development of mobile games that was published in the International Encyclopedia of Digital Communication & Society (Wiley-Blackwell). Last but not least, the long-waited book, Playful Identities: The Ludification of Digital Media Cultures came out from Amsterdam University Press. My piece there deals with the culture and identity of casual online play. Our research team’s work in 2015 again covered a large part of the games, player experiences, design research and game cultures landscapes. Our particular emphasis is on the emerging and transforming aspects of these, multiple and interconnected phenomena and research topics. In 2015 we wrapped up the research projects Hybridex – The User Experience in the Future Playful Hybrid Services and Free2Play – Best Practices for Free-to-Play Game Services. Some of the research publications, including the full final reports from these projects are still coming out, but you can find some of this work at: https://free2playproject.wordpress.com/publications/ and https://hybridex.wordpress.com/ . Our work in the emerging, and newly re-configured borderlines of physical and digital dimensions in play also included also practical design experiments in the TSR funded OASIS research that studied intermixing of work and play, as well as with the playful MurMur chairs (originating from the Hybridex project). Featured in local as well as in international media, such practical implementations of fundamental research particularly appear to attract the attention of wider audiences. The high-quality research on gamification was also getting wider notice this year, including many publications that were coming out from Koukku, Neuroeconomics of Gaming and Free2Play research projects on this theme. Many thanks to all members of our research team, from these, as well as other research projects. Much of such research that includes direct applications and links with games industry and other end user or interest groups were funded by Tekes, the Finnish Funding Agency for Innovation, as well as by various industry partners. Many thanks to all our collaborating partners, and Tekes in particular for their interest and belief in the significance of games and games related research. The Skene games programme ended in 2015, but everyone very much hopes that the huge funding cuts to Tekes, Academy of Finland and directly to the basic funding of Finnish universities does not stop work in themes that are important for the advancement of fundamental knowledge, cultural richness, and capacity for innovation – be those related to arts, technology, humanities, social sciences or e.g. human well-being (studies of games, play, gamification and playfulness relate and touch upon all those research areas). Our work continues in active mode also in 2016, thanks to two new Tekes research projects (Hybrid Social Play; STREAM/eSports), the Academy of Finland funded Ludification of Culture and Society project, and other ongoing work that is based on individual research grants that members of our research teams have won, as well as other continuing research projects. There are many important themes that are logical continuation of the earlier work we have done (and I have probably forgot to mention many important achievements above), but there are also new innovations and expansions into new areas that are going on. Directing my time and energy into new research on e.g. hybrid play applications while simultaneously participating in other ongoing work will probably mean that in 2016 there will not be as many publications coming out from myself, but that is part of the natural rhythm, ebb and flow of academic life. It is also important that the new tenure-track associate professor in game culture studies position, announded in summer 2015, will be filled hopefully in early 2016. We are also joining forces among the Finnish game scholars to have more supportive structures and collaborative initiatives to start in 2016. Again: many thanks for everyone in our team, project collaborators and international friends who have made 2015 such a successful and productive year – wishing you all the best, and hoping to make 2016 also a great year together! Edit: Oh yes – Jaakko Stenros defending his PhD thesis should of course be mentioned here; every doctoral dissertation from our research team is a major milestone! 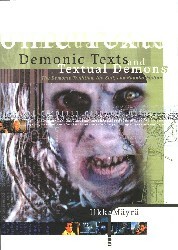 The publisher’s web pages with ordering information can be found at: https://www.routledge.com/products/9781138812420.